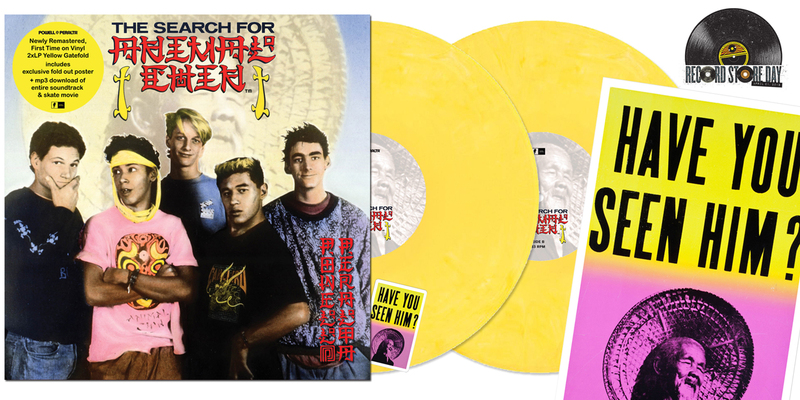 Limited Edition Record Store Day Exclusive Release – The Search For Animal Chin Soundtrack. Available at Record Stores on April 21st 2LP on Yellow Marble Vinyl, Gatefold Vinyl with a collage of unseen photos from the 1980's on the inner sleeves, exclusive foldout Animal Chin Poster, Re-mastered for the first time, first time ever on Vinyl, and a full MP3 download of the soundtrack as well as a full movie download. A limited amount will be available on our site in May.